A co-founder of iV2, a company that specializes in strategic audio branding, Uli Reese brings with him a wealth of experience in the worlds of film scoring, sound design, commercial music, record production, songwriting and academia. He co-founded iV2 in 2008 as a place where he could realize his lifelong passion: seeing people moved by the power of sound. 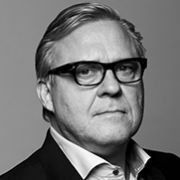 He has worked with major brands such as Coca Cola, Nestea, Ritter Sport, Commerzbank, Neu.de, Cremissimo, Arla Foods, Mercedes Benz, Telekom Italia, BMW, Weightwatchers, Deutsche Bahn, Castello, Credit Suisse, Ikea, Dallmeyer, Porsche and several others. His leadership has won him many awards from festivals like Eurobest, New York Festivals, Effie Awards, Telly Awards and Communicator Awards. Representative of an all-around creative, Uli first worked on scores for Star Trek: The Next Generation and the Walt Disney Company as a freelance composer and orchestrator on Disney’s Goof Troop television series. He then moved back to Germany and formed his own commercial music company, working with brands such as Nike, Reebok, Coca-Cola and Sony. Deciding to take on a new challenge, he turned his creative focus to songwriting, eventually securing a publishing deal with Peermusic and moving to the music capital of the world – Nashville, Tennessee. There, he with the founder of iV and together they built a vision for a new kind of company that would merge Nashville’s creative community of composers, artists, musicians, vocalists and engineers with innovative audio branding strategies. iV2 was launched in Frankfurt in 2008. Uli received his undergraduate degree from the Grove School of Music in California.